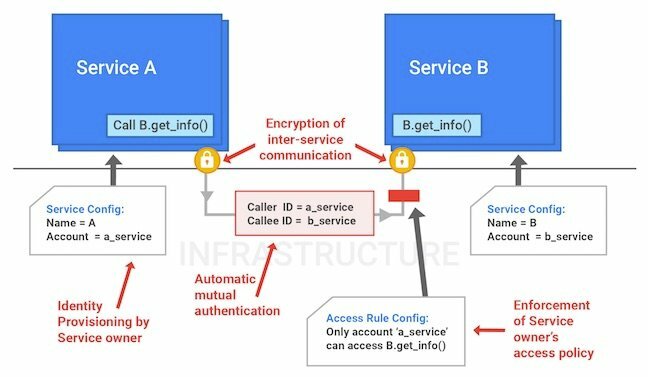 Google has published a Infrastructure Security Design Overview that explains how it secures the cloud it uses for its own operations and for public cloud services. “We additionally have systems for scanning user-installed apps, downloads, browser extensions, and content browsed from the web for suitability on corp clients,” the web giant continues. Google’s source code is stored in a central repository where both current and past versions of the service are auditable. The infrastructure can additionally be configured to require that a service’s binaries be built from specific reviewed, checked in, and tested source code. Such code reviews require inspection and approval from at least one engineer other than the author, and the system enforces that code modifications to any system must be approved by the owners of that system. These requirements limit the ability of an insider or adversary to make malicious modifications to source code and also provide a forensic trail from a service back to its source. There's plenty more in the document, like news that Google's public cloud runs virtual machines in a custom version of the KVM hypervisor. Google also boasts in the document that it is “the largest submitter of CVEs and security bug fixes for the Linux KVM hypervisor.” We also learn that the Google cloud rests on the same security services as the rest of its offerings. There's also an explanation of the company's internal service identity and access management scheme, detailed in the diagram below, plus news that “we do not rely on internal network segmentation or firewalling as our primary security mechanisms.” That's a little at odds with current interest in network virtualisation and microsegmentation.